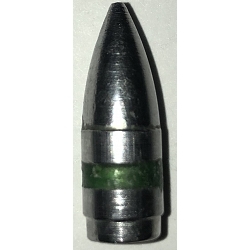 Design for Gas Check speciflical design for 30 Calibers and 7.62 x 39 and 300 Blackout. Weight with gas check 137. With Gas Check can go over 1600 FPS.